How might Spanish Inheritance Tax affect me? In some countries, inheritance tax only applies when there is a very large estate. Until 2015 this was not the case in Spain and Spanish inheritance tax applied in the majority of cases for non residents in Spain, but since the last resolution of EU, residents and non residents in Spain can take profit of the same advantages while they are EU citizens. For all EU citizens, the amount of tax to pay varies depending upon different factors. The relationship of inheritors to the deceased,whether they are resident or non-resident and where the property is situated in Spain, all make a difference to Spanish inheritance tax. Even when the inheritor is the spouse of the deceased, inheritance tax has to be declared, although if there is not an amount of tax to pay. It's not just on property that Spanish inheritance tax has to be declared. You must also declare it on money held in bank accounts, on vehicles, deposits and any other assets that may be inherited. You are given a time frame of 6 months in which to declare the tax and pay in its case. After this time you will be fined for late payment. Past your six months window you will pay an extra 5% for every three months up to a maximum charge of 20%. Paying interest on late payments increases this amount even more. How much do inheritors have to pay? It is a difficult time and we understand that sorting out your Spanish inheritance might not be top of your list of priorities. However, there are some steps that it is important for you to take as soon as possible to safeguard your inheritance in Spain and meet the requirements of Spanish inheritance law. Although every case is different, we know that you will want to have some idea of what the implications of receiving Spanish property are. In order to help you with this we can contact you to give advice and information or provide a cost estimate of how much the inheritance process will be for you. 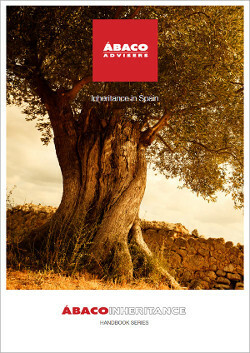 Comprehensive support to help you with inheritance procedures in Spain. Helpful advice and information for you after a bereavement. Some case studies to illustrate the ways in which we have helped our clients in the past. How much might it be? Some examples to give you an idea of how much inheritance tax there might be to pay. We will take care of everything on your behalf so that you have peace of mind. I'd like to talk to a specialist about my inheritance case. I'd like an estimate, including any inheritance tax to pay.